I completed the card yesterday so thought I would add it. The shapes are pretty basic but I think it comes together really cute. The SVG file is on Dropbox. 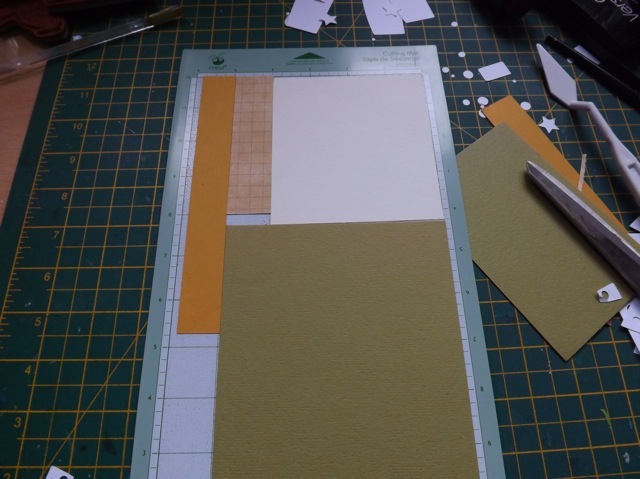 Just do a test cut then line up the various strips of coloured card like I did in the previous sample, then cut. to add: does that link allow you to download the SVG? If not, does this one? Get treebits.svg for the file! I THINK you should be able to un-group them in whatever software you are using to resize them if you want to make a bigger card. Here is a PDF of the tree shapes so if you like it and want to cut the trees by hand, you can. 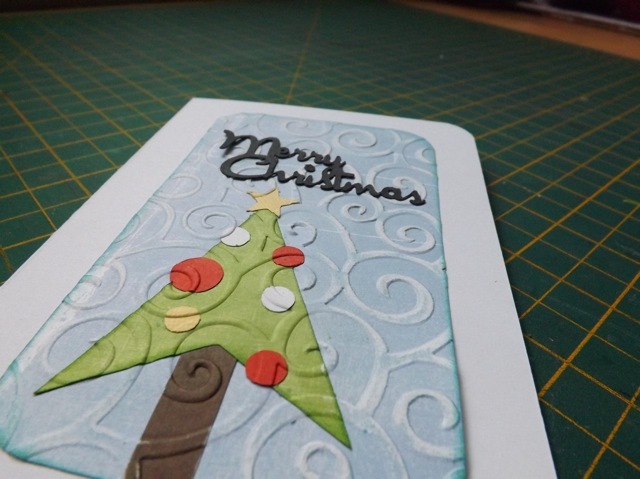 I would say use a star punch and a couple of small circle punches for the other bits, and then do a rounded-corner rectangle for the background and a strip cut into small rectangles for the trunk of the tree. 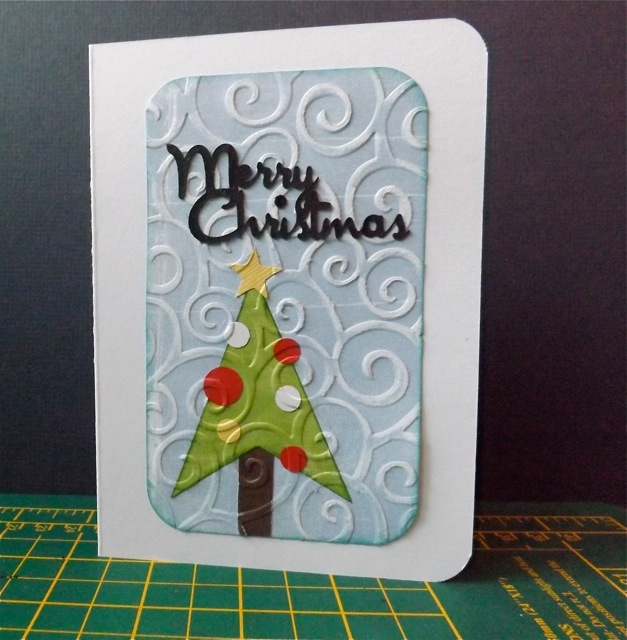 Categories: cards, Christmas | Tags: cards, Christmas | Permalink.